Baghdad is holding a secret superpower summit, but the word is out, and an underground organization in the Middle East is plotting to sabotage the talks. Into this explosive situation appears Victoria Jones, a young woman with a yearning for adventure who gets more than she bargains for when a wounded spy dies in her hotel room. The only man who can save the summit is dead. Can Victoria make sense of his dying words? "Lucifer...Basrah...Lefarge." What made the experience of listening to They Came to Baghdad the most enjoyable? This is a lesser known Christie book, but one of my favorites. Imagine my disappointment to find that the recording does NOT include the ending to the book!!! What did you love best about They Came to Baghdad? It was wonderful until I got to the end and realized the last chapter is missing! The audible narration stopped at Chapter 22. Unfortunately, the book continued through Chapter 25. Emilia Fox was a wonderful reader. She's a very fine actress and it comes through as she reads. Thoroughly enjoyable and engrossing. I only wish it had continued through the end of the novel. The story was original and unexpected. Agatha Christie created a memorable heroine. Similar to her early writing with Tommy and Tuppence but more developed. As a fan, I expected to be intrigued and she did not fail me. I was surprised by who the villain turned out to be. What about Emilia Fox’s performance did you like? Her characterizations gave life to the words on the page. I could imagine the scene and scenary from England to Egypt and Iraq. Do you think They Came to Baghdad needs a follow-up book? Why or why not? I would have liked to have read more stories with Victoria Jones as the lead character but this story certainly stands on its own. 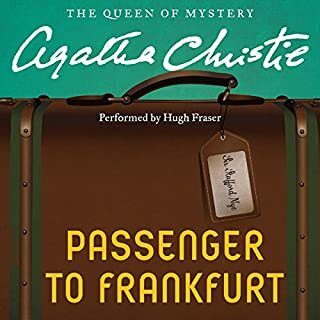 I can't wait to read and hear more Agatha Christie books --- as long as they are complete! Has They Came to Baghdad turned you off from other books in this genre? This book was not finished. If Final Destination was end like this book, it would have ended when Hilary arrived at the leper colony. I've read this book several times and now I've listened to this audible version. 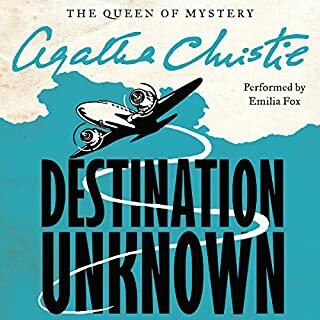 It may be one of my favorites because we get to see a great description of life in the Middle East through Agatha Christie's eyes. What does Emilia Fox bring to the story that you wouldn’t experience if you just read the book? She brings the characters to life and gives them personality. She also adds the element of surprise and suspense that carries you along and keeps your interest. I would like to see this made into a movie. Emilia is the perfect Victoria! Cant say which we like better; the story or the character. I enjoyed Emilia Fox's narration. She distinctly expressed each character and kept me interested until the end. Victoria Jones was my favorite character. 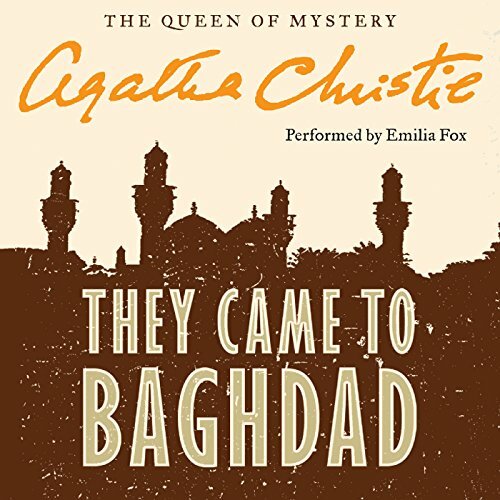 Beautiful,funny, and smart as a whip, Victoria's wild ride From England to Baghdad and beyond. I enjoyed her voice and how she changed it for each of the main characters. 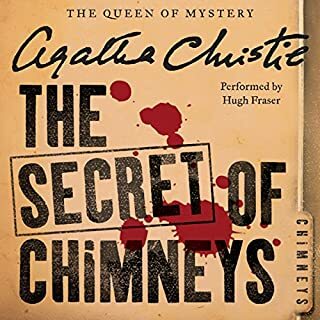 One of agatha Christie's best....but the audible version is missing the last three chapters! 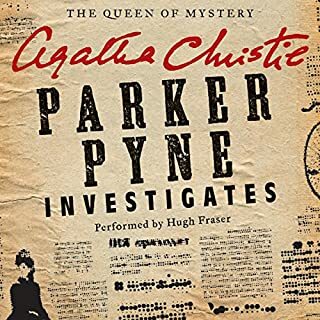 Luckily I got the kindle version at the same time and was able to read the end or I would have been pretty frustrated leaving the heroine just as she was in the greatest peril! What three words best describe Emilia Fox’s voice? Good old English voice. Nice that its recognized a woman can read men's voices just as men can read women's. she does a great job. Unabridged usually means nothing left out! 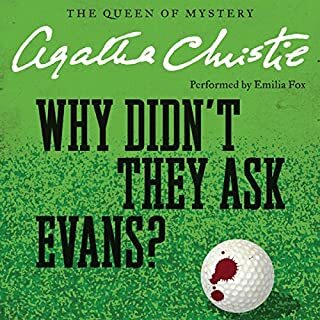 Would you try another book from Agatha Christie and/or Emilia Fox? What could Agatha Christie have done to make this a more enjoyable book for you? I won't know until I can finish it. Did They Came to Baghdad inspire you to do anything? Fortunately, I have the Kindle edition as well, so hopefully I can finish reading it. I would prefer to listen to it, clear until the end. 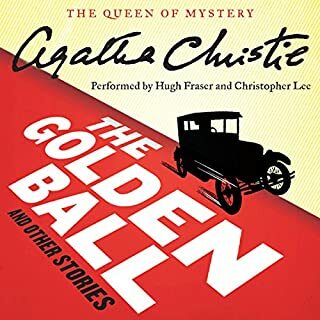 I have read almost 70 of Agatha Christie's works, and this is by far, one of her worst ever! What was most disappointing about Agatha Christie’s story? The book is not finished. Christie just quits in the middle of the action! I love Emilia Fox's voice. She is a great narrator, and it is only her narration that made the book durable. If you could play editor, what scene or scenes would you have cut from They Came to Baghdad? I would not cut any! I would just finish it. This would be a good book if the book had been completed.